Senate Judiciary Committee member Ben Sasse, a Republican, listens to witnesses Monday during a subcommittee hearing on Russian interference. When President Trump fired FBI Director James Comey on Tuesday, Sen. Ben Sasse of Nebraska was one of several Republicans in Washington voicing concern. As details unfolded throughout the week, Sasse, who sits on the Judiciary Committee, continued to call the timing of the firing "troubling," though he maintains there is not yet a need for an independent investigation or special prosecutor to look into Russian meddling in the 2016 election. Of utmost importance, he tells NPR's Steve Inskeep, is shoring up the public's waning trust in American institutions. "The timing of this firing I think is very troubling because there's obviously an active investigation into the president's campaign and organization and associates," he says. "And I just wish the president would spend much more time tending to this crisis of public trust." We have a crisis of public trust in this country that is much deeper than just the last four months or the last 18 months. We have an erosion of a shared narrative about what America is about. And we have the huge unpopularity of almost all of our governing institutions. That should trouble everybody. The FBI is a really important institution in American life. We believe in three separate but equal branches. But our founders distinguished between legislative functions and executive functions and judicial functions. And so investigative and prosecutorial functions are in the second branch and so ultimately they report up to the president, but the FBI director has a 10-year term for a reason. He or she is not supposed to be thought of as a Republican or a Democratic actor but as an impartial investigator who doesn't really report through a chain of command that is ultimately political. We need to know a lot more about 2016, but the thing that keeps me up at night is 2018 and 2020. We know what the Russians are trying to do. We know that technology around [information operations] is getting better and better. Here's what I think comes next: I think you're going to start seeing data leaks in the 2018 and 2020 cycle that'll be Steve Inskeep's [as a fictional example of a candidate for office] credit card records. ... And it'll be 93 percent real stuff and 7 percent fabrications. And so it'll all be very plausible because you were in the city at that time and then you were away from work for this travel and you did X, Y and Z but then 7 percent of the credit card records will be "Why are you buying so much clothes at a women's clothing store in Chattanooga? That's weird, Steve. Your wife isn't in Chattanooga." And I think what's going to happen is you're going to have a drip-drip-drip erosion of trust in almost every public official and almost every public institution. We should be losing sleep about that now before it starts happening, because Russia is doing this stuff to their near neighbors now. And the technology is going to get better and better. I'm not calling for that at this time. I'm open to that deliberation as we go forward because I think that would be a vote of no confidence in the Senate Intelligence Committee's investigation, and I think what the American people need is to have a restoration of their trust that some of our institutions can work. Morning Edition editor Miranda Kennedy and producer Phil Harrell and Web producer Heidi Glenn contributed to this story. We have said this more than once this week. After James Comey's firing, there are still more questions than there are answers. Republican Senator Ben Sasse of Nebraska is still asking, why now. Our co-host, Steve Inskeep, sat down with Senator Sasse to work through that question and others. STEVE INSKEEP, BYLINE: What troubles you about the firing of James Comey? BENJAMIN SASSE: We have a crisis of public trust in this country that is much deeper than just the last four months or the last 18 months. We have an erosion of a shared narrative about what America's about. And we have the huge unpopularity of almost all of our governing institutions. That should trouble everybody. INSKEEP: You said shared narrative, meaning we don't even agree what the country's about anymore. INSKEEP: And in the midst of this, the president makes this dramatic step. Why does it bother you? SASSE: Well, the FBI is a really important institution in American life. We believe in three separate but equal branches. But our founders distinguished between legislative functions and executive functions and judicial functions. And so investigative and prosecutorial functions are in the second branch. And so ultimately, they report up to the president. But the FBI director has a 10-year term for a reason. He or she is not supposed to be thought of as a Republican or a Democratic actor but as an impartial investigator who doesn't really report through a chain of command that is ultimately political. There's a lot that reasonable people can differ about the decisions that James Comey made and the way that he conducted himself over the last year. There were a bunch of unprecedented complexities that he had to navigate. And I take issue with some of the ways he handled his - parts of his job. The timing of this firing, I think, is very troubling because there is obviously an active investigation into the president's campaign and organization and associates. And I just wish the president would spend much more time tending to this crisis of public trust. INSKEEP: Are you saying that the president has done long-term damage to public trust by the way that he's made this decision? SASSE: I don't think the president has done anything to restore public trust. And we've had eroding public trust for quite some time. I think so much of this fight is being read through people's partisan lenses of who they did support in the last election. It's a shirts-and-skins exercise for way too many Americans. And it shouldn't be that because we should - we need to know a lot more about 2016. INSKEEP: I'm hoping that that doesn't turn out to be, literally, the case. But please, continue. SASSE: I haven't heard that you're an actual candidate for office. But if you were, I think what you'd see is your credit card records get leaked. And it'll be 93 percent real stuff and 7 percent fabrications. And so it will all be very plausible because you were in this city at that time. And then you were away from work for this travel. And you did X, Y and Z. But then, 7 percent of the credit card records will be, why are you buying so much clothes at a women's clothing store in Chattanooga? That's weird, Steve. Your wife isn't in Chattanooga. And I think what's going to happen is you're going to have a drip, drip, drip erosion of trust in almost every public official and almost every public institution. We should be losing sleep about that now before it starts happening because Russia's doing this stuff to their near neighbors now. And the technology is going to get better and better. Putin's main goal is not the election of one candidate or another. But it's to make Americans distrust each other. And he's winning right now. INSKEEP: What do you make of the president's approach to the Russia investigation, which is to dismiss it, to describe allegations of collusion as a hoax, to push against it at every turn? SASSE: Yeah, I don't understand how the president makes decisions. I don't think there's an organized decision-making process in the White House about policymaking issues. And one of the president's responsibilities is to try to pass on an understanding of what America's about - well before policy and partisan differences - who are we as a people, and what do we want to build for the kids. I don't think the president takes seriously that civic responsibility that all of us in public life have. INSKEEP: Is there, in your mind, a legitimate concern that the president is in some way compromised or has inappropriate connections with Russia? 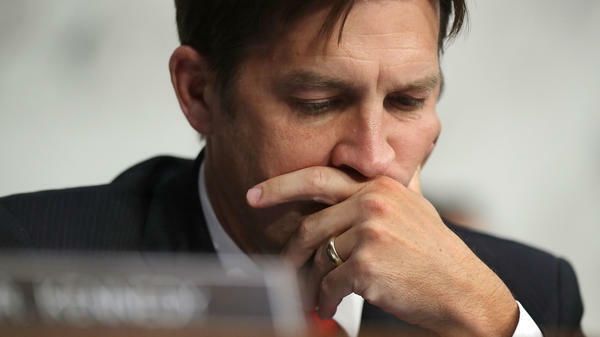 SASSE: We don't know enough, yet. We do know this for certain - Russia tries to infiltrate elections. They've done it in, obviously - they've got influence in Ukraine. They do things in Estonia. They do things in the former Soviet Georgia. They've tried to be involved in the French elections, recently. We know that they wanted to influence the 2016 election. We know that they had all sorts of operations relative to certain people in and around the Trump organization and campaign. We don't know a lot, yet, about how far that went and what the president may or may not have known. I think the firing of James Comey - the timing is terrible. It is good to know, the American people should be reassured that, the FBI has a vibrant, vigorous culture. There's esprit de corps there that is serious and that takes the Constitution seriously and takes their institutional responsibility seriously. So there is no doubt that inside the bureau there are a whole bunch of people who will be pursuing that investigation. INSKEEP: Given the concerns you've raised, should there not be an independent investigation, a special prosecutor for example or whatever new mechanism would be set up? SASSE: I'm not calling for that at this time. I'm open to that deliberation as we go forward because I think that would be a vote of no confidence in the Senate intelligence committee's investigation. And I think what the American people need is to have a restoration of their trust that some of our institutions can work. If we abandon the two institutions that are investigating now - the FBI and the Senate intelligence committee - and we start over with a new one, that one will also be called into question. If it's - the Independent Counsel statute isn't really in place at present. So the way you'd actually establish it is complicated. Rod Rosenstein, the deputy attorney general, arguably, could appoint a special prosecutor. INSKEEP: The very guy who was involved in the firing of Comey. SASSE: Exactly. So ultimately, we're filled with humans. And we're all flawed. And so you've got feet of clay all the way down. And whenever you restart this, there will be new reasons to doubt. So I'm not calling for a special investigation at this time. INSKEEP: I can imagine someone listening to you and saying, well, that's a very thoughtful point Senator Sasse. And I can also imagine someone listening to you and saying, what is the matter with you? What more do you need to hear? There's been so much evidence that something is very, very wrong here. SASSE: Something is very, very wrong here. I don't - I don't disagree at all. What we don't know is where exactly that ends. So I want these investigations to proceed. MARTIN: That was Senator Ben Sasse, Republican from Nebraska, talking with our co-host, Steve Inskeep. On Tuesday, we'll hear more from Sasse about his new book. It's titled "The Vanishing American Adult." Transcript provided by NPR, Copyright NPR.